Mix up this easy recipe to have on hand ready to perk up pasta salads and potato salads. I use it on Frittatas and in Omelets. Roasted potatoes? Ohhhhh… so yummy. Try it on oven roasted Brussels Sprouts and Cauliflower! Pat it on chicken before grilling or pork chops to bake on top of Sauerkraut. This is sooooo versatile you’ll wonder why you hadn’t made your own before. A favorite way for me to use is to simply sprinkle it onto chicken pieces and let sit in the refrigerator for a couple hours, then cook as usual. I’ll bet you have everything already in your pantry. But….the best part is that you can adjust the ingredients to suite your tastes. Love heat? Add a 1/4 Tsp Cayenne. Not an Oregano fan? Leave it out! Why pay for store bought, one size fits all, Seasoned Salt when it can be made inexpensively at home. 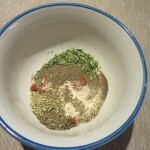 You can vary the herbs and spices to suit your taste or make it as I have written here. Don't like onion? Leave it out! Once you start making your own, I bet you won't go back to store bought. 1 1/4 Tsp Paprika "Sweet" not "Hot"
Combine all ingredients in a small bowl. Stir well with a fork and you're done! 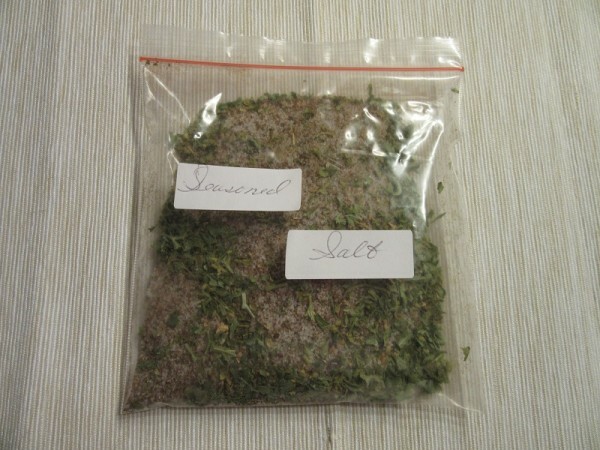 I store my homemade seasoning mixes in self sealing plastic bags that help ensure freshness. 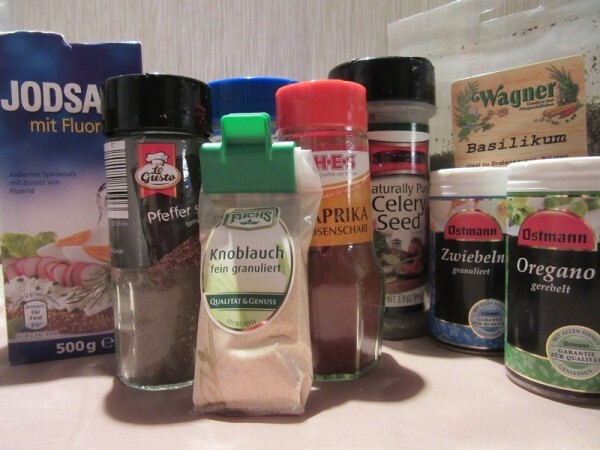 But, I also wash out old glass spice containers, relabel them and add my own spices!